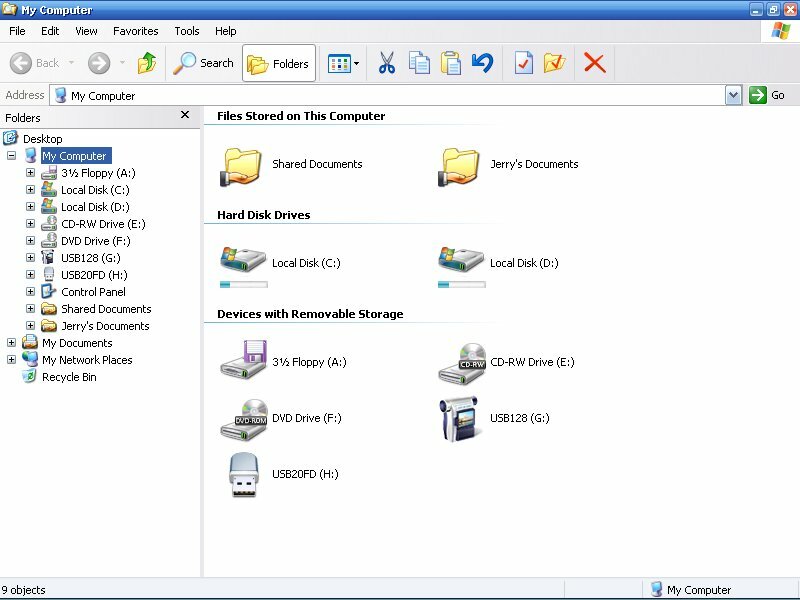 One of the Vista Operating System features is progress bars in My Computer that show disk space used for each drive and partition. 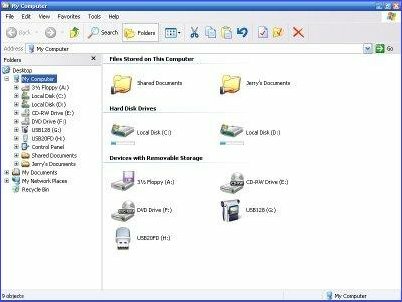 Vista Drives adds this feature to Windows 95 through XP and the ability to change the icons to the new Vista style for all drives including floppy, CD/DVD and removable types. You can see how much space is used at a glance and once it exceeds 80% the bar color will change to red to let you know it's running low. 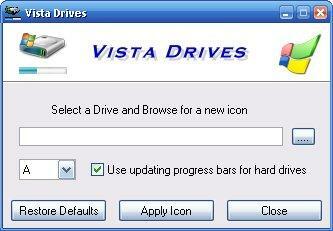 An assortment of Vista icons is included for all drive types. 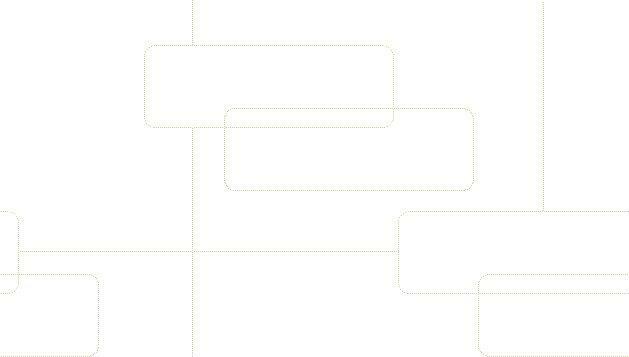 Vista Drives is a compact easy to use program.